Root analysis yao. 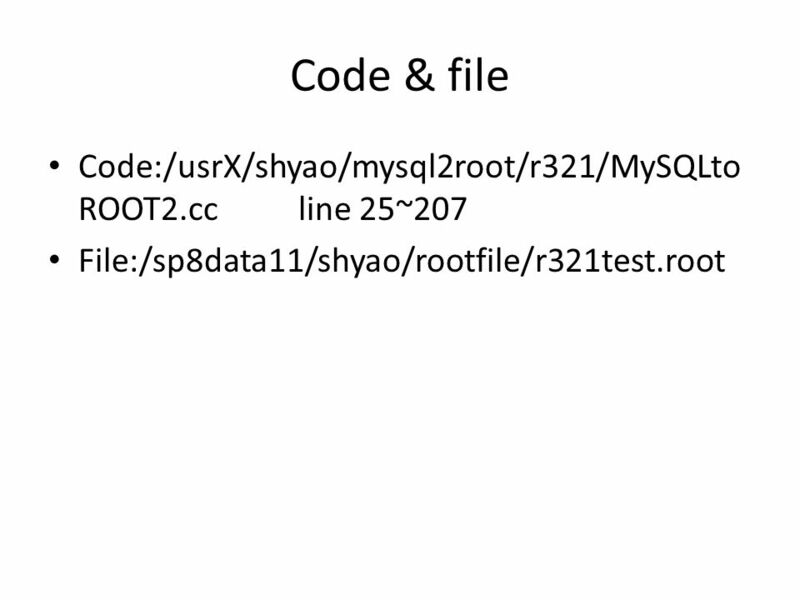 Code & file Code:/usrX/shyao/mysql2root/r321/MySQLto ROOT2.cc line 25~207 File:/sp8data11/shyao/rootfile/r321test.root. 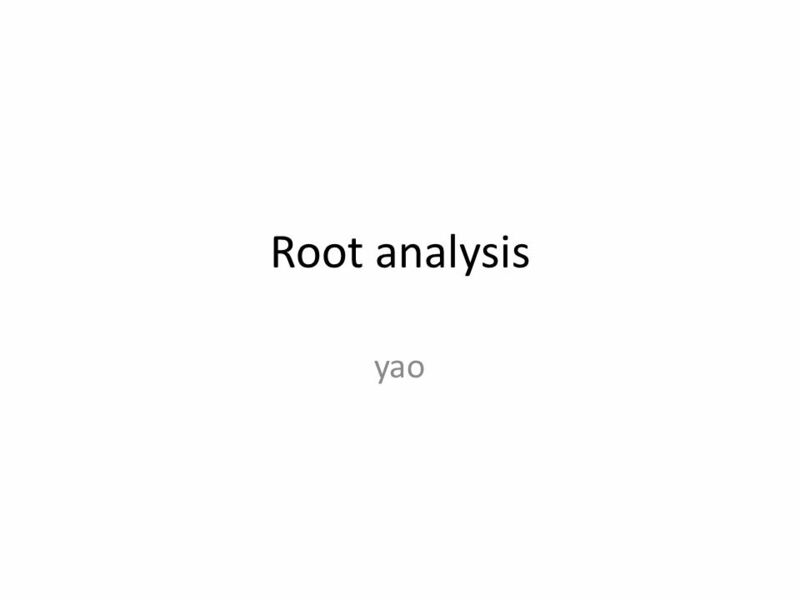 Download ppt "Root analysis yao. 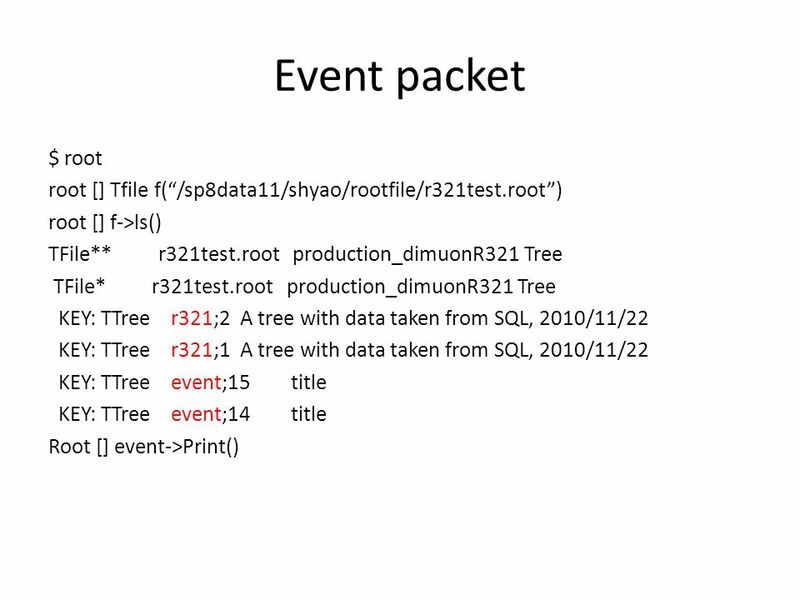 Code & file Code:/usrX/shyao/mysql2root/r321/MySQLto ROOT2.cc line 25~207 File:/sp8data11/shyao/rootfile/r321test.root." PHP SQL. Connection code:- mysql_connect("server", "username", "password"); Connect to the Database Server with the authorised user and password. Eg $connect. Murach's MySQL, C3© 2012, Mike Murach & Associates, Inc.Slide 1. Joe Foster Visualizing Data with ROOT Joe Foster University of Manchester. 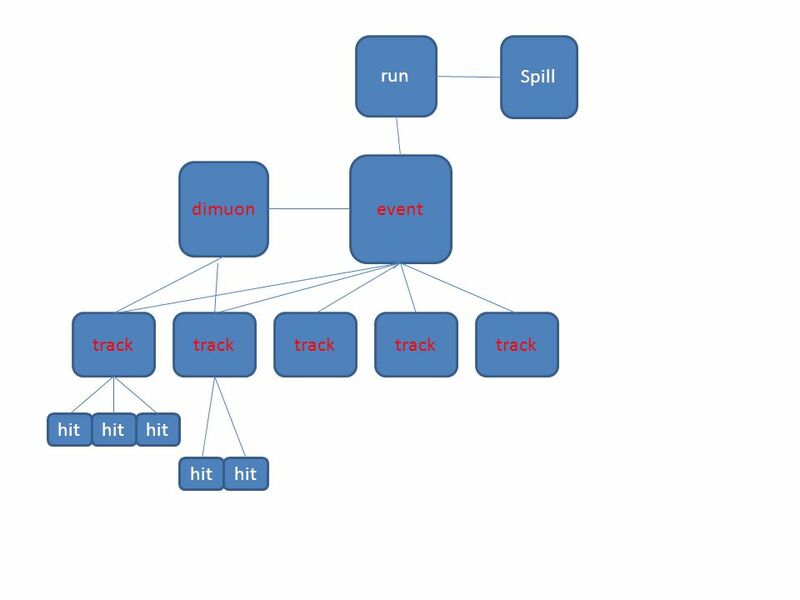 Must-Know ROOT Class I/O/TGraph/Tntuple/Ttree/…. 1. INTRODUCTION ABOUT OMR. INDEX  Concept/Definition  Form Design  Scanners & Software  Storage  Accuracy  OMR Advantages  Commercial Suppliers. Simple Accurate Reliable Economical. M Series Platforms 16 Parameter, 3 Part Differential Systems  Open Tube Sampling  Closed Sampling  Automated Sampling. In this assignment you are going to read floppy disk. You can run ‘mdir’ Unix function to see what output your program should give. 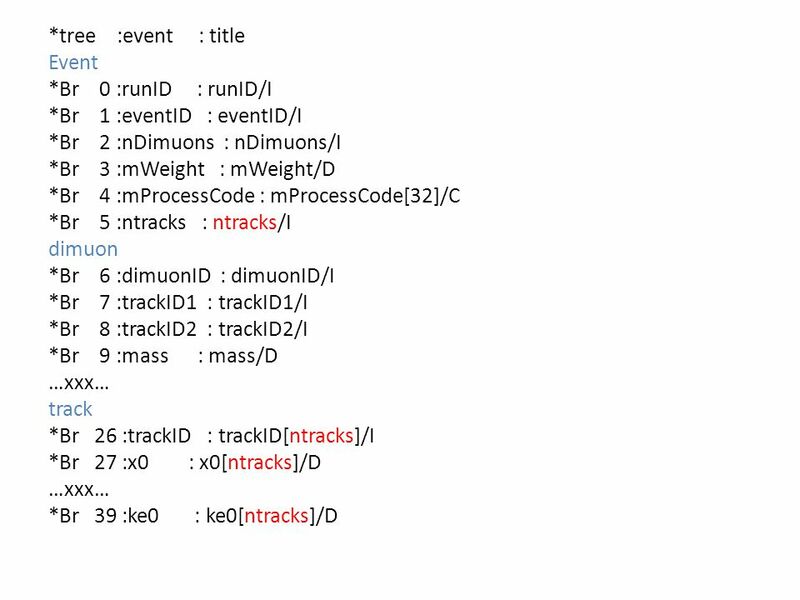 FAT-12 MS-DOS file. Race Conditions. Isolated & Non-Isolated Processes Isolated: Do not share state with other processes –The output of process is unaffected by run of other. Fixed Asset Inventory. Database Refresh 1. Run Oracle Reports to create files. A. Asset Condition Data File. B. Asset Data File. 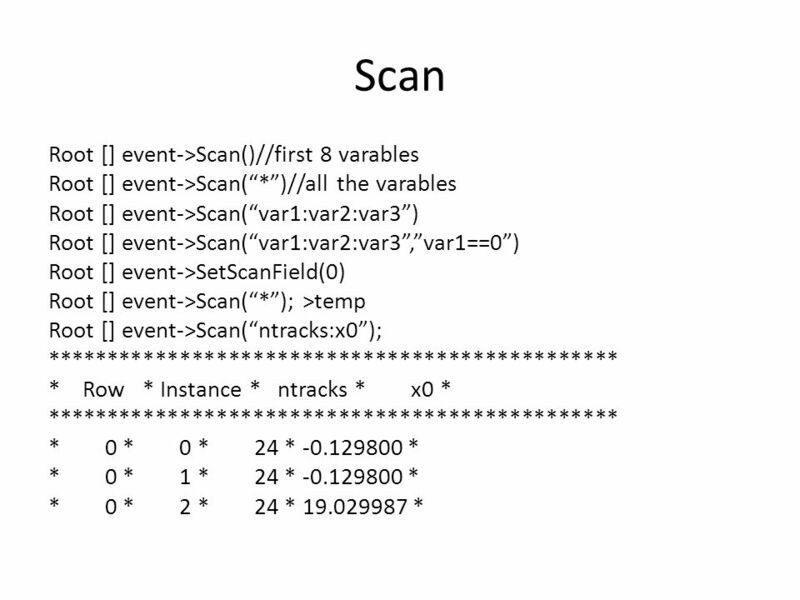 C. Asset Location Data. Food Calorimetry Lab. 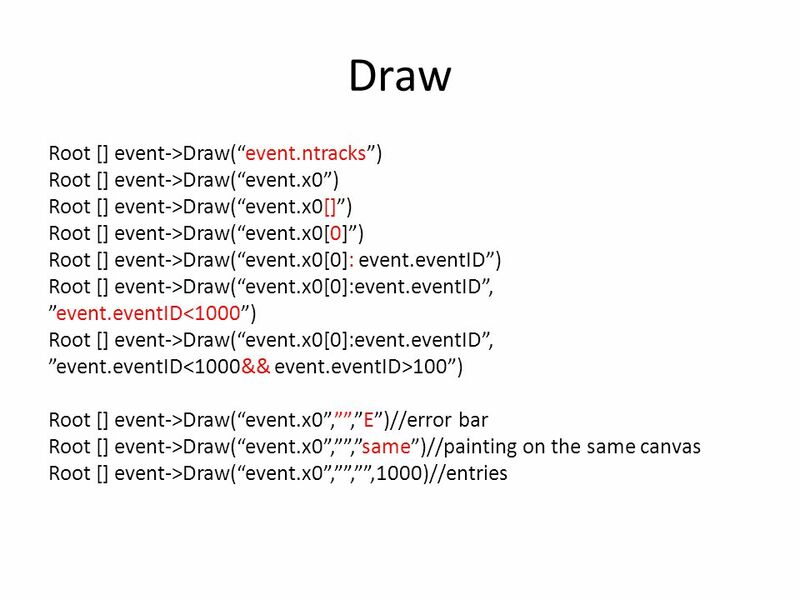 Title Draw a picture of the setup Paraphrase the procedure (this should be short) Data Table Trial 123 Mass can Mass can+water Initial. Course Outline Lesson1 Getting Started with Adobe Photoshop CS5 Lesson 2 Understanding Photoshop Basics Lesson 3 Saving and Printing Images Lesson 4 Changing. ROOT courses1 The ROOT System A Data Access & Analysis Framework February 2003 Ren é Brun/EP Trees. Sept 11, 2003ROOT Day1, Suzanne Panacek39 ROOT An object oriented HEP analysis framework. Day 1. ROOT An object oriented HEP analysis framework.. Computing in Physics Physics = experimental science =>Experiments (e.g. at CERN) Planning phase Physics. Frequency Table 2-1. 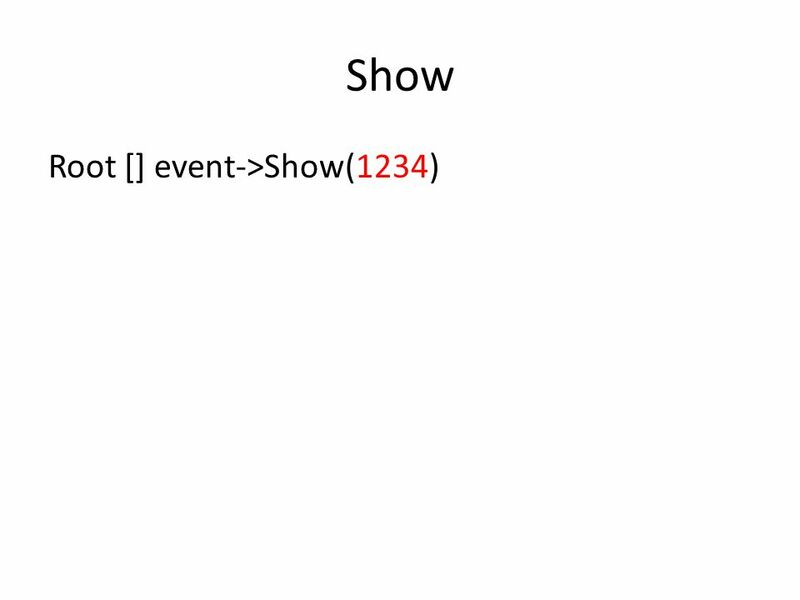 Vocabulary  Data – Information  Frequency Table – lists the number of times each item occurs in a data set. Barcoding for control and profit! What barcoding is and how to make it work for you. Course Evaluations Session 397 Monday, 03/17/2003 1:15 to 2:15 p.m. HEUG 2003 Conference - Dallas.